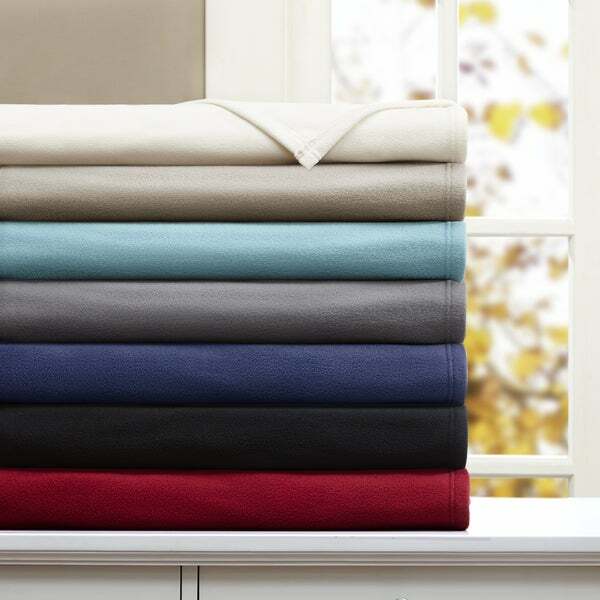 This blanket is very soft and a perfect weight for all seasons. My only “disappointment” is that the “white” blanket is really ivory. While I wanted white for the bedroom design, I opted to keep the blanket anyway due to its quality and softness. The Peak Performance Micro Fleece Blanket is a step up from any other fleece blanket. Using the 3M Scotchgard treatment, it helps to remove stain easier and last wash after wash. No pilling, no shedding and no lint. Soft and durable, this light weight blanket is perfect to add on for cold winter days or for an unexpected guest in the house. A more refined version of a fleece blanket, with a nice smooth finish. Purchased for the bedding in my guest room in the ivory color and it's so soft and inviting. I can't wait to have an overnight guest. This blanket is a bit thinner than I thought it would be. But for the price, it was a good deal. I haven't tested the scotchgard aspect of it yet (and hope I don't have to! ), but I'm counting on that it will work. This blanket is nice and soft-good size! Blanket is of good quality and very soft. Good quality, light but keeps you warm. Perfect for people who are on the warmer side. It's very soft. For summer it's very nice and Warm. I needed a large fleece blanket to use as a couch cover. I already have one but needed another one to swap while I put the other in the laundry.